Ahhh, I just realized that I forgot to do a post last week! Dang, that resolution didn’t last very long. I intended to do it on Saturday but it was absolutely crazy that day! So here I am remembering to do it this week and hopefully I won’t forget anymore 🙂 This week began our new winter session of STs so we talked about the letter “M” this week. Mice, moose, monkeys, Mississippi, and moms. It was of course a wonderful ST with lots of smiling faces and cheerful kids. I won’t go into the details because I feel like I repeat myself so much on here since all my STs are pretty much the same but with different stories and songs. Nothing too exciting. As for other stuff going on in the library right now I am helping with the planning of our 4th Annual Read and Run for your health 5k and 1 mile walk. It basically consists of going out and asking businesses for money, which as you can imagine is not a fun thing to do in this economy. There have been a few good leads, so hopefully they will come through. Starbucks is about the only one so far that for sure is helping us our by donating coffee. Go Starbucks! I guess they are expecting even more participants this year too since our sign ups at this point are DOUBLE what they were at this time last year. Woot! When everything is said and done I will be sure to post pics and let you all know. I think that’s about it going on in my library world right now. Check back next week and maybe there will be something exciting happening! Oh and I have one more resolution with this blog, NO MORE SMILEY FACES. I use them entirely too much. Smiley face. This is by far my favorite program to do yearly. My flyer reads something along the lines of, “Join us to celebrate the new year by reading stories, singing songs and sipping sparkling cider. We will even have a countdown to noon! So be sure to wear your fancy party clothes!” I think this year turned out the best so far, all the kids had such a good time. I began by having the kids come in and decorate a fun party hat, cause well, everyone needs a party hat on New Years. They used sequins, feathers, pom poms, pipe cleaners and they all looked pretty sweet. 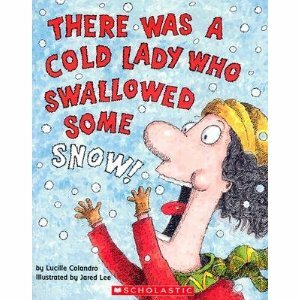 I always like to read winter themed stories just because I can never find any really good New Year’s books for preschoolers. The kids don’t seem to mind. 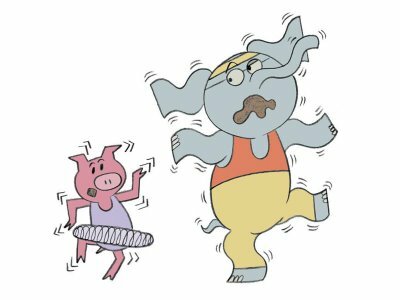 Next we danced to the hokey pokey! I think that’s just the prefect song to dance to during a party. It got a little crazy this year too, a kid lost his shoe! Seth helped me with this program (thank goodness) so I let him read the next book since I was recovering from the hokey pokey. 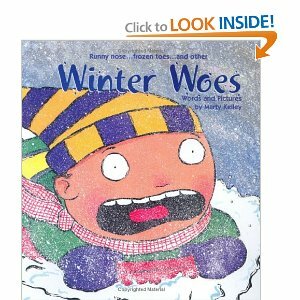 He read Winter Woes By: Marty Kelley. If you haven’t read this book, YOU MUST. It’s hilarious and the kids giggle the entire time. By the end of this story it was time to pass out the cookies and sparkling cider! I love giving it to the kids because for some of them it’s the first time they’ve tasted it, it can be entertaining to see their facial expressions. Although some hate it, they still enjoy their cookies. Next I gathered everyone on the carpet and passed out tiny cups of confetti. YES, CONFETTI. I started doing this last year because I’m sure they never get to make a mess at home and confetti is GREAT! Oh, and we even had party blow-out noise makers. After explaining what we do with the confetti and how the countdown works, it was time. The room was a little trashed afterwards but it was so worth it, everyone had a fantastic time. Happy New Year’s everyone!